The Kukio Community Fund of the Hawaii Community Foundation was established in 2001 as a way for Kukio members to connect with the surrounding Hawaii Island community through meaningful charitable giving opportunities. With assistance from HCF, the Kukio Community Fund finds the best organizations and schools increasing youth success on Hawaii Island and supports their critically important work. By supporting education and youth development, the Kukio Community Fund is increasing the success of local youth in school, in work, and in life. The fund focuses on the young people of Hawaii Island because their success has a ripple effect on the entire community. A recent survey of Kukio employees revealed that most of the schools receiving grants through the fund are attended by Kukio employees’ children. By nurturing the ethos of the whole island, the fund aims to make it a better place for their neighbors and employees to live and thrive. Over the past 4 years, the Hawaii Island community has benefited from over $2 million in grants through the Kukio Community Fund. Of the 25 schools on the island receiving grant support, most are attended by Kukio employee families. Many of the nonprofit grantees offer educational and social enrichment that expands what students receive in schools. Often, these dynamic programs are led by collaborations between schools, teachers, community volunteers, and local nonprofits. Learn more about the STEM Learning Partnership. Big Brothers Big Sisters Hawaii, Inc. Boys and Girls Club of Hawaii, Inc. Boys to Men Mentoring Network, Inc.
Kukio residents and local community leaders volunteer their wisdom, time and funds to lead the growth and oversee the grants of our fund. The committee is led and facilitated by Hawaii Community Foundation’s Hawaii Island-based staff who provide a local, professionally-managed, and cost effective mechanism for the fund’s grantmaking and operations. In 2017 over $600,000 was raised and distributed thanks to contributions from Kukio members. An incredible range of educational programs are blossoming across Hawaii Island, stemming from remarkable partnerships grounded in a common goal – helping our students discover the possibilities of innovation, creativity and technology. What started in November 2014 with a $200,000 annual sponsorship from the Thirty Meter Telescope (TMT) THINK Fund has been transformed into the Hawaii STEM Learning Partnership, distributing over $2.2 million to Hawaii Island over the past three years. In 2017, nine donors, including Kukio Community Fund, have teamed up with HCF to catapult the program forward, enabling unique education opportunities across Hawaii Island. Hands-on, team-driven projects that test ideas and develop real-life solutions. 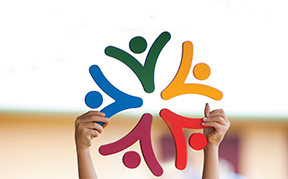 Grantees reach and support over 12,000 Hawaii Island youth and 900 teachers. With help from the Kukio Community Fund, Elama Project was launched at the Hawai‘i Community College Pālamanui campus in 2015. The Elama Project assists students in attending and successfully completing their first year of college and beyond. When it comes to higher education, West Hawaii is one of the most underserved areas in the state. Non-degree jobs make up 47% of the Hawaii Island workforce, but those positions do not provide enough income for economic self-sufficiency. By 2018, 65% of Hawaii’s jobs will require a post-secondary education, but only 40% of Hawaii Island students are currently enrolled in college. The campus opened for Hawaii Community College at Palamanui offering a state-of-the-art learning environment and providing greater access to higher education in West Hawaii. The campus was made possible through considerable leadership and funding support from Charles Schwab, the Hunt Brothers, Jim and Lynn Lally, and many other motivated community members like Carl Carlson and Ross Wilson. The Kukio Community Fund focuses on the young people of Hawaii Island because their success has a ripple effect on the entire community. By supporting education and youth development, we are increasing the success of local youth in school, in work, and in life. The Hawaii Island community has benefited from over $2 million in grants through our Kukio Community Fund. Much of this funding has been concentrated in two high-impact youth program areas – Elama Project at Palamanui and STEM Learning (science, technology, engineering, and math). 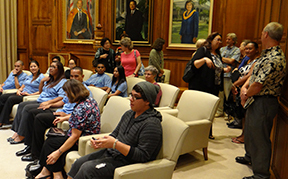 The Kukio Community Fund believes that young people deserve the opportunity to succeed and began offering scholarships to further the education of college bound Kukio employees and their dependents in the 2017-18 academic year. We see this as an investment in the future—for scholarship recipients and the local community. section of the application to be considered for the Kukio Employee Scholarship. The Hawai‘i Community Foundation has over $4 million available for scholarships from more than 200 scholarship funds that you will be considered for with the one online application. You will be asked to submit a personal statement, Student Aid Report, and grade transcript. Must be a current Kukio employee and receiving benefits for at least a one-year period, or dependent child of an employee as noted. Hawaii Community Foundation has extensive experience in scholarship administration and will manage all aspects of the Kukio employee scholarship. This includes processing and reviewing applications, notifying students and colleges, handling award distribution and more. Applicants will also have access to more than 200 other scholarship funds through HCF’s single online application and may be considered for additional scholarship monies. Applications are screened and sorted for eligibility with those funds whose criteria match the candidate. The number of awards and award amounts may vary depending on the number and needs of applicants, but we anticipate Kukio Employee Scholarships to be offered up to $4,000. Students are notified of their award status between April and July. Scholarships are paid directly to the school the student attends, usually in two payments, one for fall semester and one for spring semester.